Hungarian intermediate lesson: What does this letter say? 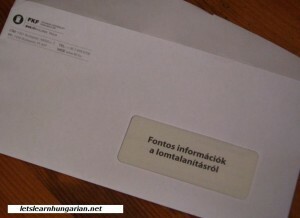 I found this letter in my mailbox the other day. What the heck is it trying to tell me? Click on “Read More” for the answer and an explanation! 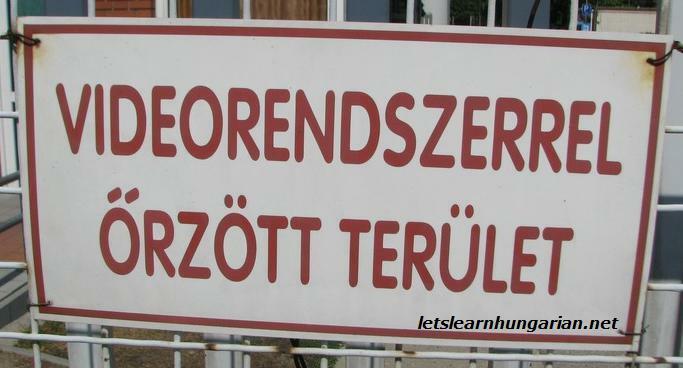 Hungarian beginner lesson: What does this sign say? Here’s a rather simple and common sign in Hungary. Obviously it is pointing to something. What is it trying to tell us? Click on “Read more” to find out the answer and an explanation! 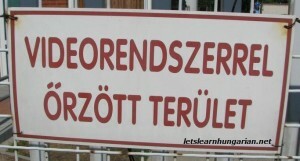 Hungarian beginner lesson: What does this say? 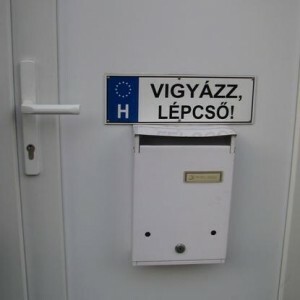 Another sign in Hungarian! This one has a crazy long word at the beginning. What does it mean? Here’s a new sign I saw posted on a door, right above a mailbox. What does the sign say? Here’s a new sign I snapped a picture of recently. What is it trying to tell us?